Writer, and lawyer, Darlene Madott - whose collection of stories Stations of the Heart released in autumn 2012 - recently wrote her Publisher at Exile Editions, to share a sense of how she felt about joining the many authors to have appeared with Exile since the first of over 450 books was released in 1976: "The Exile authors are all interconnected, in some deep way, the result of selection by the Callaghan [Barry and Michael's] sensibility, and of course the Exile readers, who are simpatico, in such a way that the Exile authors finally find a home, and join a special family, under the imprint." Madott's comment has provided the platform for me to introduce our publishing house - and our authors. I feel this is a unique opportunity, in that a monthly article to appear in The Montreal Review provides a forum that is just what a small press publisher of literary books - who all too often gets overshadowed by big commercial houses - needs to inform the public about what we do, who we support, why we do it, and why small presses are the vital link to contemporary Canadian literary culture. (Why we have done it for over 40 years, as a family business, will be for another article.) 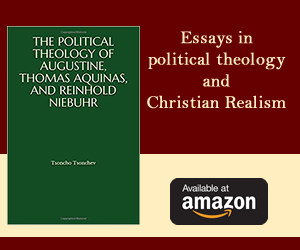 Along with these insights into publishing, writers, books, and all that makes what we do possible, there will also be a book review in the latter part of each article. This is another unique opportunity because to have reviews that don't just isolate a single author but take a look at a publishing house's entire list, in the end provide the reader of these articles with an opportunity to discover the magic of what brings all our authors, the books we publish, and readers from across the country and around the world, together, in Exile. Exile Editions was founded in 1976 by Barry Callaghan, now recognized by many as Canada's "eminent man of letters" (enjoy his "man of letters" interviews, with author Ray Robertson, or with TVO). He currently sits as Editor-in-chief (in 2006 having passed the company on to his son, Michael, and daughter-in-law, Gabriela) but continues to do what he has done since day one when he ran the whole show, solo - and that is to remain true to a simple but special mission: consistently present top-quality literature by publishing works of literary distinction, in the genres of fiction, poetry, non-fiction, drama, and in translation. Over the years, this dedication to quality has seen Exile make and define its place in Canadian publishing. By way of Barry's vision, we first place an emphasis on bringing out new generation and emerging writers who are redefining the literary landscape with innovative works. Added to that - what wonderfully rounds out each annual list of 10-16 books - are the mid-career writers shaping their vision by exploring/pushing boundaries, as well as those works by established writers well known for their craft. And why stop there, as he goes on to add into that mix a further eclectic blending of works by Francophones, the culturally diverse, and Aboriginal writers. Then there is Exile: A Literary Quarterly, the journal-now-magazine that Barry began in 1972 - and from which Exile Editions was born. Michael has run it since 1998, and recently redesigned and re-branded it ELQ, now a robust 8×10 and 160-page magazine. Close to 150 issues have carried on the long tradition of being a forum that presents a rich and varied selection. Over 1,200 contributions of literature, poetry, drama, work in translation, and the fine arts have appeared to date - from English and French Canada, as well as from the U.S., Europe, Latin America, the Middle East, Asia and all around the world. And in its unique way, over all these years, ELQ/Exile acts like an antenna, locating and attracting many diverse voices, searching out and encouraging the most distinctive new writing at home and abroad (and at times, those "finds" go on to realize full book publication with Exile Editions). 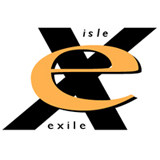 The two "Exile" publishing endeavours are like a brother/sister team, working in tandem to create and define a "new mainstream." What we publish are works that reflect a broad diversity of Canadian sensibilities and cultural backgrounds, works that are in touch with the very nerve endings of an evolving multiculturalism as it redefines itself across the country. This is what gives the magazine and all the books a "freshness" - the shared editorial sensibility emphasizing "authenticity of voice" in a time when truth to "tone, temperament and intent" are of crucial concern to both writers and readers. And such is the interconnection of Exile's writers and readers, what Darlene Madott sees as the simpatico experience, of being together, in Exile. Michael Callaghan is Publisher of Exile Editions and ELQ/Exile Literary Quarterly Magazine. If you would like to receive a FREE introductory copy of ELQ , please write the publisher at the email address provided after the review of Darlene Madott's Stations of the Heart. Also after the review are links to various video book trailers from recent book releases, and some highlights of 2012 and spring 2013 titles . Exile Editions' catalogue can be found online. 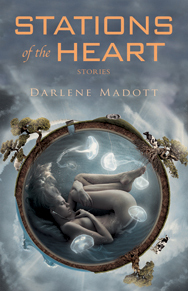 A book review of Stations of the Heart by Darlene Madott (Exile Editions, 2012), 234 pages.